Last week was marked mainly by the announcement of 6 new banks plan to issue their own stablecoins, change in Binance Launchpad token sale and two major exchanges’ decision to support USDT-TRON. Hope you find it helpful and as usual – happy trading! 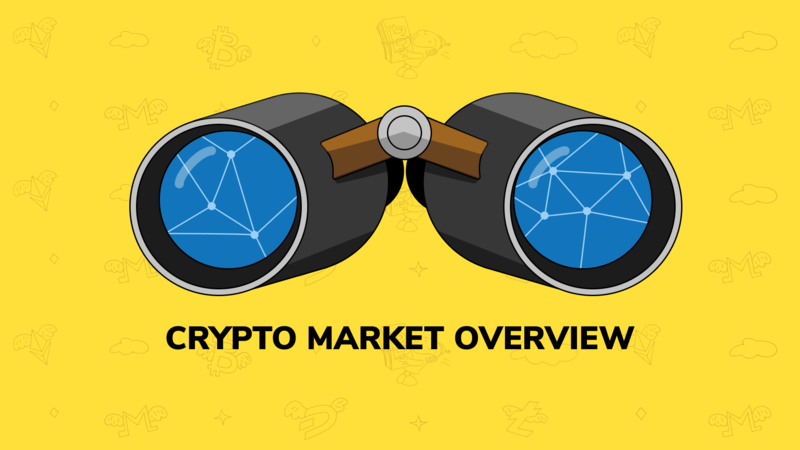 The growth of crypto market capitalization slowed down even more compared to the previous weeks, but it passed the $140 billion mark. Last week was bearish for top-3 cryptocurrencies. Ethereum and XRP coins lost more than 2%, while Bitcoin has almost the same value. IBM announced that six international banks intend to issue stablecoins on Blockchain World Wire. The stablecoins will be backed by the national fiat currencies of these banks. Blockchain World Wire is a payment network launched by IBM and Stellar in 2018 to make cross-border payments less complex and expensive. The platform is currently supported by more than 44 international banks. Major cryptocurrency exchange Binance announced changes to the Binance Launchpad token sale format. The next token sale will be conducted as a lottery instead of first come first served principle, which left many users without tokens due to the high demand. As reported, “the lottery draw will be done via a transparent, randomized system with a random selection of lottery tickets…” The number of tickets users can claim will depend on holding Binance Coins (BNB) over a 20-day period leading up to the day of the lottery with a maximum of 5 lottery tickets. Two cryptocurrency exchanges Huobi Global and OKEx announced support of the Tron-based version of USDT. Earlier Tron and Tether announced their partnership to issue a new token which is designed to be compatible with all Tron-based protocols and decentralized applications.